The Association of Women in International Trade (WIIT) invites you to a Trade Talk with Takeshi Komoto, Embassy of Japan’s Minister for Economy, Trade and Industry, for an off-the record discussion on the current state and future course of Japan’s bilateral trading relationship with the United States. Minister Komoto will discuss the impact of current and future proposed tariffs on Japanese imports and Japanese investments in the United States as well as Japan’s perspective on tackling challenges to the bilateral relationship in addition to its efforts to forge a path forward on reform to the multilateral trading system. Brown bag event. Attendees invited to bring their own lunch. Takeshi Komoto serves as Minister at the Japanese Embassy in the United States of America since June 2018. His portfolio covers policy areas including economy, trade, industry and energy. He joined Ministry of International Trade and Industry (MITI), the predecessor of Ministry of Economy, Trade, and Industry (METI), in 1993. Much of his career focuses on international affairs. Mr. Komoto was the Executive Director of Japan External Trade Organization (JETRO) New York Office for three years in 2013-2016. His mission was to promote trade and investment between Japan and the United States. In 2011-2013, he was the Director for FTA/EPA Negotiations and was responsible for a number of negotiations including on China-Japan-Korea (CJK) FTA, Regional Comprehensive Economic Partnership (RCEP, what used to be called ASEAN+6), as well as Japan-Myanmar Bilateral. He played a leading role in launching the negotiations for CJK FTA and RCEP in November 2012. 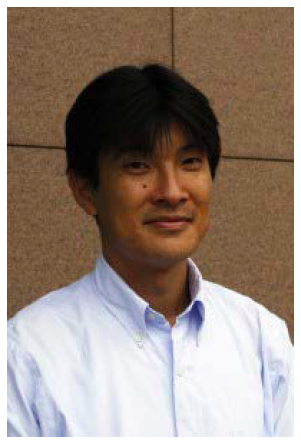 Mr. Komoto serves on Advisory Committee of Friends of U Tokyo, Inc. (FUTI), US NPO that supports student exchanges between University of Tokyo and US universities, since 2015. He graduated from University of Tokyo in 1993 where he majored in economics. He received Master of Public Affairs from Woodrow Wilson School of Princeton University in the United States in 1998. He and his wife, Shiho, have three children, Ken, Jun, and Kano.